Panel Discussion: Increasing Opportunities for Cats We started our day by acknowledging how animal population issues have changed drastically over the years – and even over the past 5 and 10 years – in Massachusetts. So how have larger shelters adapted to these changes? We hear and see on MassCats that some rescuers may be reluctant to bring cats to open admission shelters, but are having difficulty finding placements at limited admission shelters. In response to this, we will conduct a panel discussion with some of our larger, higher capacity shelters across the state to share information, dispel myths, develop relationships and break down barriers among us with the goal of increasing resources for cats. 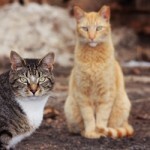 What You Don’t Know Could Kill Cats In 25 years, the Trap-Neuter-Return (TNR) movement has grown exponentially as more individuals, groups, and local governments discover its effectiveness in meeting the needs of cats and people. 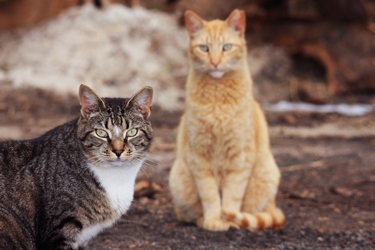 Despite decades of evidence supporting TNR as the most effective approach to cat populations, life-threatening myths and outdated policies that threaten cats and kittens persist in many parts of the country. Becky Robinson will explain how you can dispel these myths and implement policies and programs that protect cats, people, wildlife and our environment. We will post Becky’s presentation when it is received. The Ins and Outs of Shelter Admission The term “limited admission” has been linked to “no kill”, but how does intake practices affect other shelters and our community’s ability to save the most lives possible? In this session Stacey Price will discuss what it means to be “limited admission” vs. “open admission” and the variety of internal and external reasons that go into making a decision to admit or deny cats into a shelter. What’s In a Name? The Language of Animal Sheltering and Looking Towards Saving More Lives Our daily work is challenging and emotionally charged; after all, it’s about saving lives. So it’s little wonder that our communication can sometimes be loaded and even create undesired results. Bonney Brown will talk about the power of the language and terminology to improve our effectiveness in our communities and with other organizations, as well as increase the success of our lifesaving work. Bonney will draw on her experiences working with shelters across the county and as director of Nevada Humane Society with a sustained community wide save-rate of 94%. Speaker: Bonney Brown- President and Principal Consultant, Humane Network; Executive Director, Nevada Humane Society; Chief Operating Officer, Best Friends Animal Society; Outreach Director, Alley Cat Allies; Founder and Executive Director, Neponset Valley Humane Society.